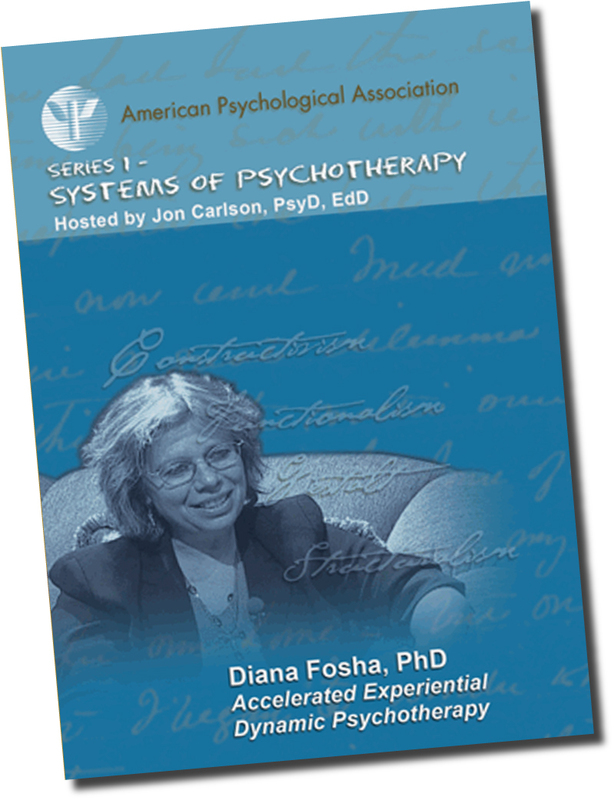 In Accelerated Experiential Dynamic Psychotherapy (AEDP), Dr. Diana Fosha demonstrates her healing-centered treatment approach, which aims to capitalize on the client’s natural, adaptive, wired-in capacities for healing and transformation. AEDP integrates experiential and relational elements within an affect-centered psychodynamic framework, with the somatic experience of affect in relationship and the moment-to-moment regulation of this experience as the focus of clinical aims to bring about change. In this session, Dr. Fosha works with a young woman who comes to treatment for help with an unsatisfying marriage. The client is worried that her 3-year-old daughter is being harmed by watching the conflict between the parents. Working to rapidly overcome the client’s defenses and fear of emotional closeness, Dr. Fosha helps the client experience and process her deep grief, hurt, and sadness over her own early experiences of being parented. The client experiences a healing transformation and thus accesses confidence in herself and in her own resources.